Feel like you are up to the task of being yet another paid voting service?! Got A Friggin' WICKED Chunk of Code For You! 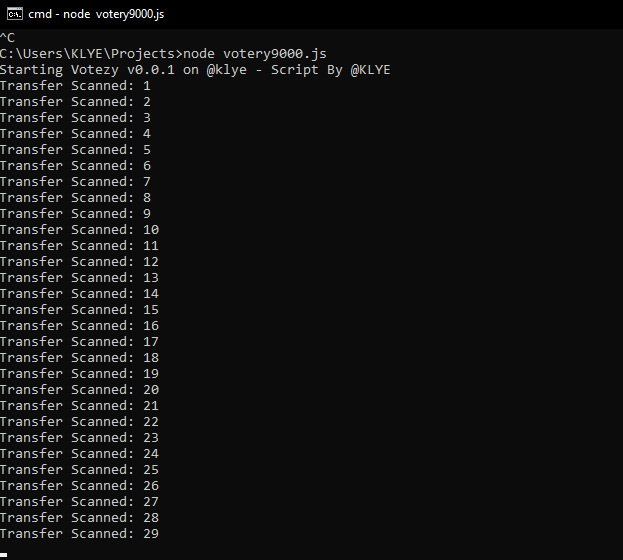 Introducing Votezy, a brand new, barely working, nearly untested NodeJS script that allows you to run any account you own as one of those fancy paid for vote services. After a number of users decided to start sending me 1.000 SBD and a link to get an upvote and my subsequent frutration that followed this script was born, mostly to stop me from freaking out when people were hounding me to upvote their stuff really.. Figured I may as well share it! 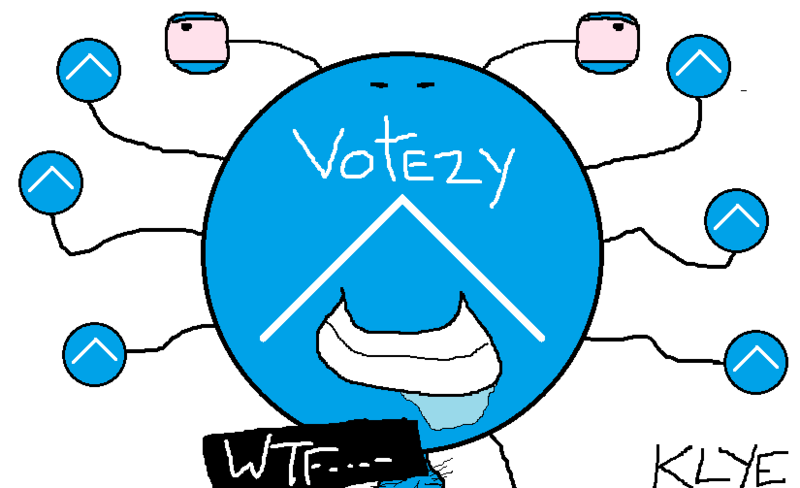 Votezy STEEM Bot - How Does it Work?! Poorly, but jokes aside at my somewhat archaic coding on this script... The code featured below allows you to turn your account into a voting bot that casts random votes whenever a user tips your account over a pre-determined amount.. Then comments on the voted on post showing what percentage the upvote given was. While this script is somewhat functioning the truth is this is a basically untested early alpha version and should not be run by anyone not willing to have their account potentially go crazy due to unforseen bugs in the code (which there almost certainly is) so please deploy this script at YOUR OWN RISK. Want a RANDOM Upvote From @KLYE? For those brave or insane enough to gamble their hard earned SBD or STEEM I invite you (at your own risk with no liability or refunds) to send 1.000 or more SBD or STEEM to this @KLYE account with the memo containing only the Steemit.com link you wish to get upvoted. Within a few minutes assuming the script isn't crashed or being bugged (which is a possibility) you'll receive a RANDOM 0.01% - 100% vote worth up to ~$8.000 SBD on the post provided in memo. Don't like the amount you got voted? Send again and try your luck! Any transfers less than 1.000 SBD/STEEM sent with a link will be considered a donation! @KLYE holds no responsibility for voting insanity caused by this script! Also no refunds or any support is offered for this service.. USE AT OWN RISK! Being a NodeJS script the first thing you're gonna need is NodeJS running on some system you have access to. Not sure what the minimum system requirements are yet.. Install that to your system, hopefully grabbing the correct version for your operating system.. After that you'll need to grab the script below and save it to a file called "votezy001.js" or whatever you wish really. //----- Like this Script and want More?! Please vote my witness efforts! // Add your Account Info Here! // Lets Start this script! }); // END streamOperations irreversible!!! // Transfer operation found? Lets see if it is for us! "| <center>Vote power is Generated via RNG (Random Number Generator)</center> |"
After that it's just a matter of running it in your console after filling in your account name and provate posting key in the top lines of the script to allow it to vote from your account as transfers of 1.000 STEEM/SBD or over are detected! And almost like magic if you didn't bork something it should run! Sometimes the RPC nodes time out or drop you... Have no fear! 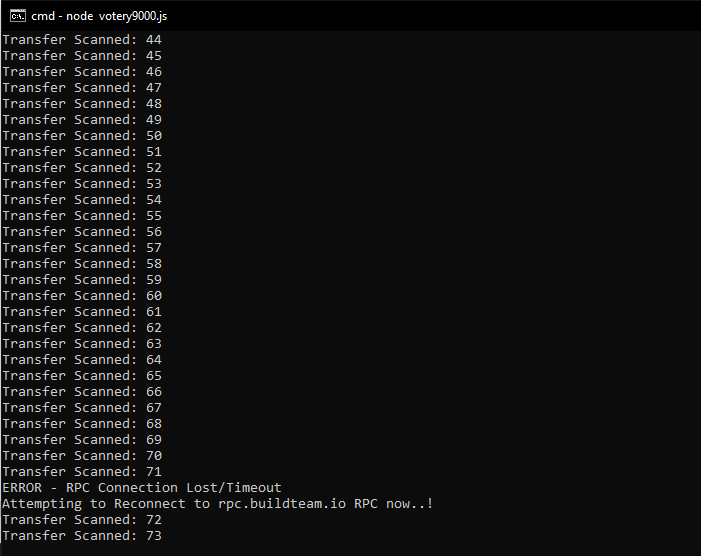 The script will try to connect to another RPC node and continue. This script is about as alpha and untested as they come, expect bugs.. Like a colony or swarm of them. This code was shared more for reference or a learning tool than a production ready service. As stated early I offer no support, warranty, refunds or responsibility for whatever happens if you choose to use this insanity! Good luck on your votes! USE THIS SCRIPT AND KLYE UPVOTING SERVICE AT YOUR OWN RISK! Hey @klye, can you please remove the banner at the bottom because in Utopian.io contribution we do not allow it. Contributors should not ask for witness votes in their Utopian posts. Hello @klye, I sent 1.000 sbd to you but I've not received the vote yet. Kindly check it for me. You got a vote.. 13% or something.. Darn. may I ask you abot @tipy bot? Will it work more? Tippy is still under development... It's a MASSIVE undertaking and almost 2500 lines of code at this point. I'll get it up and running in alpha development mode soon enough. Okay, @klye I will try it for my next post. So could I use to give it for other person who deserves better vote? You can put any link in the memo to get voted.. As long as it is fresh! If by interesting you mean chaos... Likely. I think my 2sbd test revealed some info about it. Thanks for sharing this post..I appreciate your every post..Best of luck.